The cover was created by the amazing Devan Edwards of Nimbi Designs. As the Interment arrives, Baxter knows this will be no Sweet Sixteen. A vengeful relative and the ruthless Council are determined to control her. Declan’s powerful and charming descendant, Jack Ashdown, claims he can save her. She’ll soon have to decide who she can trust, and how to master her new abilities before Time runs out. It was this love that propelled her to choose Theater and French as majors in University, with a minor in English Victorian Literature. 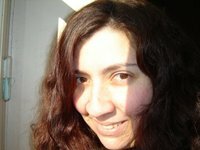 Lyn lived for almost a decade in England followed by three years in France before returning home to the U.S.
A self-confessed citizen of the world, Lyn is fluent in English, French and Spanish, with basic knowledge of the Italian language. Lyn currently lives in Central Florida with her French husband, English-born eldest son, and French-born youngest son. 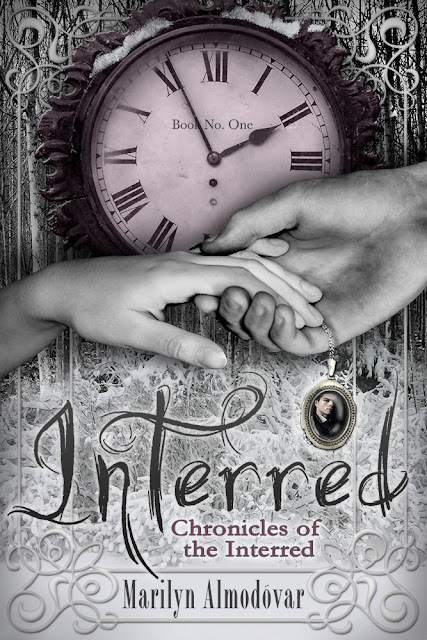 Her debut YA Novel, Interred, will be published by Iambe books on 01/22/2013. Thank you so much, for taking part in the reveal! This sounds cool and I love the cover. I love the cover too and when I was putting the post together I could have sworn I saw the clock tick. lol. I'm excited for this one.